Our realistic doll Jessica 150 B-cup Premium meets the needs of demanding people in comfort, wi..
Our realistic doll Lorena 168 J-cup Premium meets the needs of demanding people in comfort..
Our realistic doll Romy 150 B-cup Premium meets the needs of demanding people in comfort, wishi..
Our realistic doll Kelly 169 C-cup Premium meets the needs of demanding people in comfort,..
Our realistic doll Celia 165 F-cup Premium meets the needs of demanding people in comfort,.. Interchangeable head Ayanna is perfectly compatible with all of our dolls.It is manufactured in TPE .. Interchangeable head Bahiya is perfectly compatible with all of our dolls.It is manufactured in TPE .. 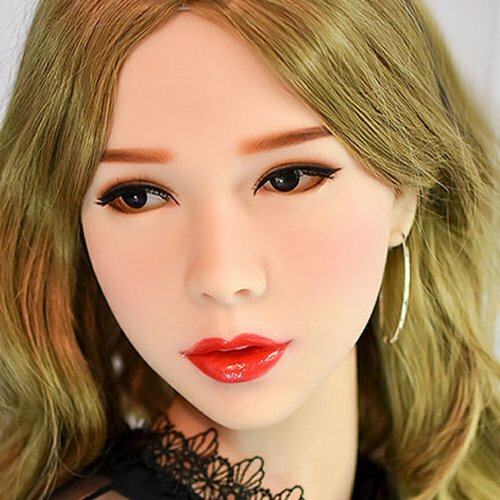 Interchangeable head Celia is perfectly compatible with all of our dolls.It is manufactured in TPE q.. Interchangeable head Eden is perfectly compatible with all of our dolls.It is manufactured in TPE qu.. Interchangeable head Effie is perfectly compatible with all of our dolls.It is manufactured in TPE q..